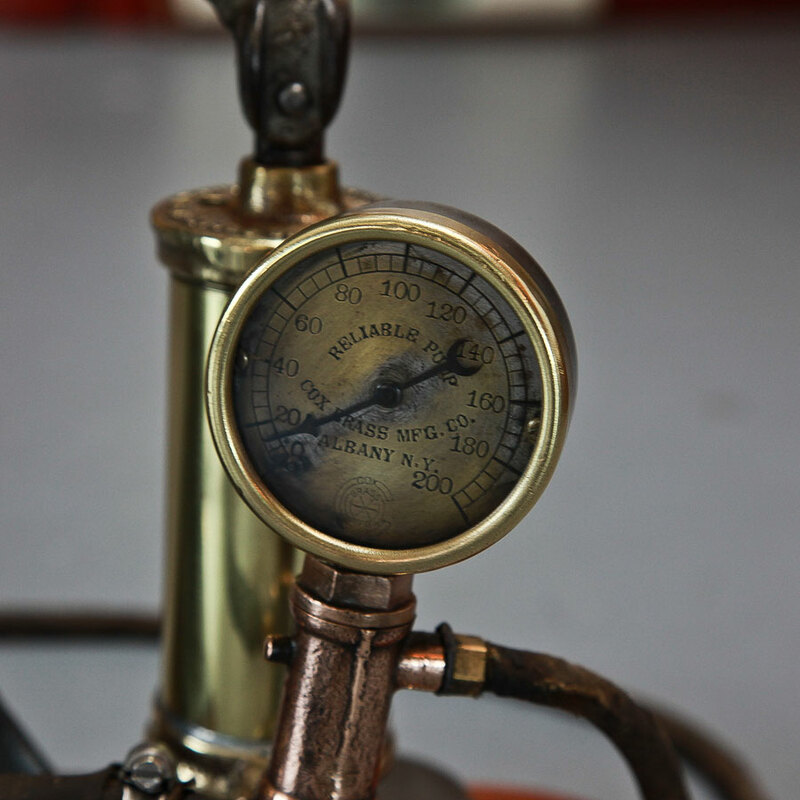 An authentic turn of the century hardhat diver air supply pump. Made by the Esco company at 375 Broadway New York City USA. Reads Esco No. 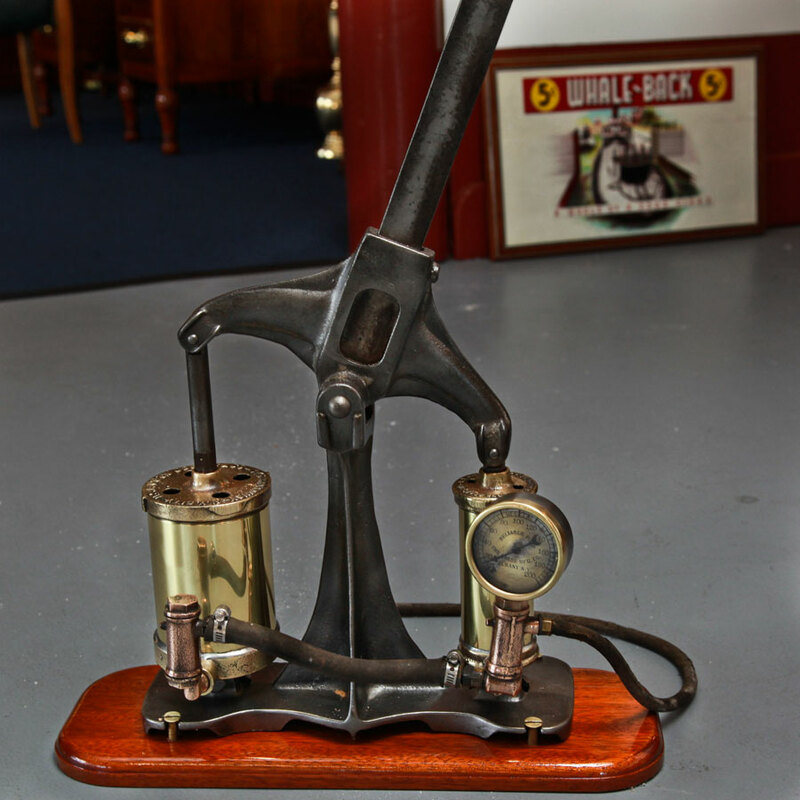 99 on the main cylinder which is either the model or number 99 out of #… This type of diver pump was typically used by commercial sponge and abalone divers. 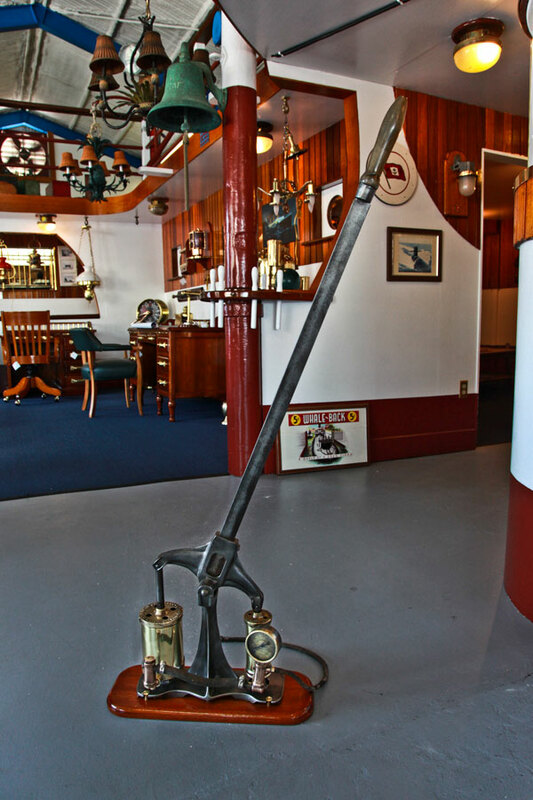 Two divers would take turns on the pump handle above while a single diver would brave the depths below. One might say it was a real trustworthy team effort. 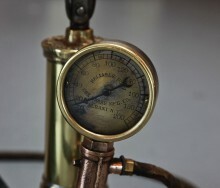 The air pressure gauge was made by Cox Brass MFG. Co. in Albany NY. and may have been added later for “safety”. Measures 12.5” at the bottom of the steel base and about 5” wide. 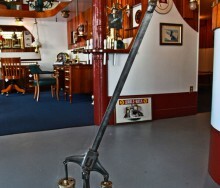 The solid mahogany base board measures 18” x 7” and the handle stands 51” tall at the highest point. 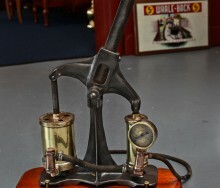 She still works and pumps air but sold only for display or collection purposes.